SERVPRO of NW DeKalb / Dunwoody / Brookhaven is the premier company to handle any size residential or commercial fire loss. Our team is so quick to respond to begin the mitigation process if you home experiences a fire. Our first objective is to assess the property and see what can be saved and cleaned. Then our team of IICRC certified managers and technicians start the cleaning process. In most cases eliminating secondary damages is the most urgent task. If you have questions about the fire damage restoration process, call SERVPRO of NW DeKalb / Dunwoody / Brookhaven at anytime day or night. We are always here to help! When your Dunwoody home or business experiences fire or smoke damage, you need professional help quickly. SERVPRO of NW DeKalb / Dunwoody / Brookhaven is dedicated to responding immediately, which helps to prevent secondary damage and to reduce the cost of restoration. As a locally owned and operated business, SERVPRO of NW DeKalb / Dunwoody / Brookhaven is strategically located to respond quickly to your smoke or fire damage event. 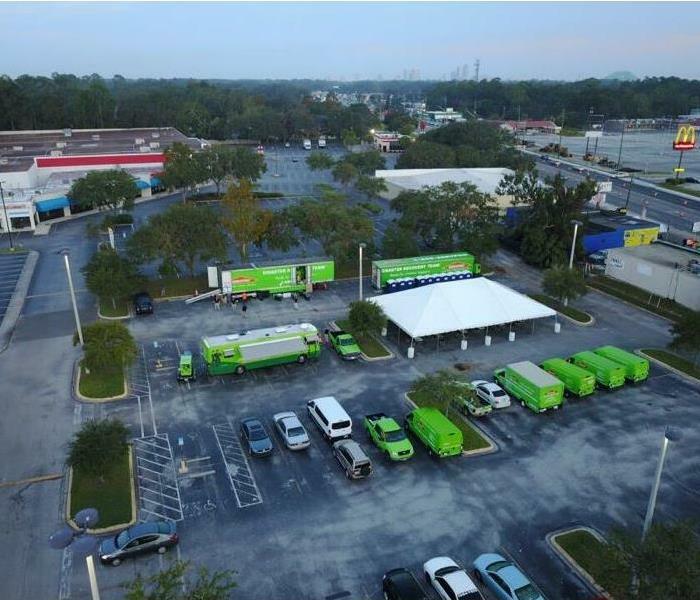 When a major fire or disaster event occurs, we can call upon our national network of 1,700 SERVPRO Franchises and special Disaster Recovery Teams if we need additional resources or personnel.